In this article, we will show you how to install Node.js on Ubuntu 18.04. This method works for local Linux machines and virtual private servers. We’ll cover two ways. You will also learn how to remove the feature if you decide it’s not for you. Node.js is one of the most popular web technologies today. It is used by many developers to increase the functionality of a web application. Some of the largest companies use it. That should give you an idea of its potential. At the time of writing, the latest stable version of Node.js is 11.10.0. However, the recommended version for most users is 10.15.1 as it is a long-term supported version. There are several ways to install Node.js, here we will show you the two simplest and most efficient ones. Important: Before you start, you must have access to your server and be able to execute commands using sudo. Se tutorial how to access your VPS via ssh. Also, note that you do not have to perform both methods. Choose the one that best suits your needs. The easiest and fastest way to install Node.js on a server with Ubuntu 18.04 is through the official distribution repository. First, connect to your server using ssh. 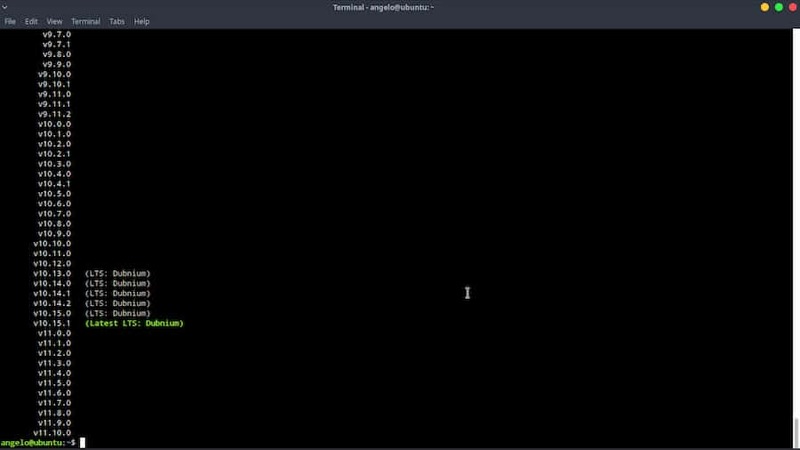 If you are running a system with Ubuntu, just open a terminal emulator from the main menu. With this, we make sure that the repositories are synchronized and the system can safely download what is stored in them. After that, you can install Node.js by running the following command. After entering your password, the installation process will begin. You can also install NPM, which is the node.js package manager. This is the easiest way to install Node.js onto a Linux machine or Linux based VPS. There is another way to install Node.js on a server with Ubuntu 18.04. Using an NVM (Node Version Manager), we can choose a specific version to install. It’s great if you want to use an LTS version or just the latest version available. First, download NVM using wget. If you are not sure you have wget, run this command. Now, you can use NVM to show all the versions of Node.js available to install. As you can see, everything went well. Node.js is correctly installed and ready to use. If you want to uninstall Node.js, and installed it with this method, deactivate it first. Node.js is a very useful technology for developing web applications. Installing it on a server with Ubuntu 18.04 is simple and we have shown you two ways to do it.